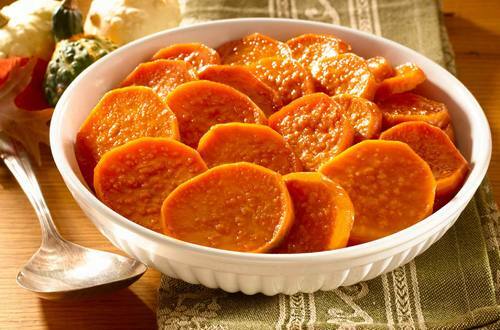 This sweet and simple classic side dish pairs well with pork or holiday ham. 2 Spray bottom of broiler pan or large roasting pan with vegetable spray. With wire whisk, blend Hellmann’s® or Best Foods® Canola Cholesterol Free Mayonnaise, brown sugar and honey; Toss with potatoes. Roast, stirring twice, 50 minutes or until potatoes are tender.